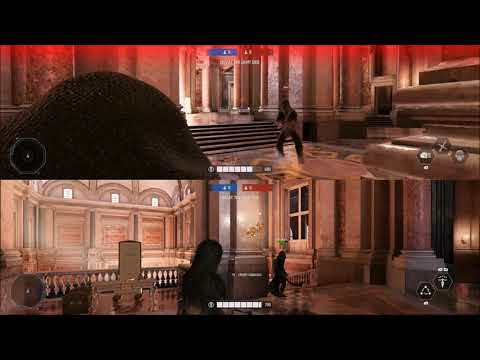 One of the many issues in Battlefront 2 is an issue that has been known throughout DICE's Battlefield and Battlefront games is where players will wait in queue endlessly smashing the select button and no contribute to the team. It was very noticeable at Battlefront 2 launch that the initial gameplay you would see all players in large numbers swarming into battle and always was huge and made for a lot more action. But slowly you see less players on the battlefront. The same number of players are there but yet not on the battlefront. Most times its just a small amount, less than 25% of the team on each side. But other times it feels like a good 50% of the team is just gone all together. Where are they? Those players are most likely in queue smashing the select button repeatedly for that fraction of a second the option becomes available to play as the hero/vehicle/special unit that other players are trying to get that is already in use. Because of this, they are not in the game and contributing to the team and the overall feel of enjoyment is decreased by factors like these. A system I have suggested in past for DICE games, and definitely is needed for this game, is the introduction of the DIB system. A better name can replace it, it is just placeholder to help explain it. The DIB system would fix this issue or players waiting for specific heroes, special units, starfighters, land vehicles and gunships to become usable by allowing the player who has gathered the required amount of battlepoints to be able to place their points on the loadout they wish to use in the even if that that loadout is currently in use. It will use a queue system in order of who put points down first and will continue down the line of succession. Thus the DIB system. Example - I get 6000/8000 battle points in 5 min or less and I want to play as Bossk, I have no interest in playing as anything else, but Bossk unfortunately is unavailable by either in use or max heroes in use. Well I can at least place my points down for that character when he becomes available and I am next in line. Allowing me to get back into the game, play and then respawn as Bossk when the option arises when I am up next in line. The player, though, must pay the full amount. Players can't just at start of match use an ability to gain points, like officer's boost health, then die to drop points to get ahead in line. They must have the full amount to buy in. So I pay the amount and can go back to playing the game as a trooper. When the option becomes available, a notification will say something like "Play as Bossk? Yes or No" And you have the option to select "No", and get all your points back and forfeit the ability to play that loadout. Or hit "Yes" and you will immediately be respawned in as Bossk and your points will be spent. This option will be time limited for maybe 15 to 30 seconds to decide or that will be taken as a "No" from the player presented with the option and it will go to the next player in line. You can also decide to, when you are in queue, to cancel yourself out of the DIB queue line if you decide to change your mind and want to invest on a different loadout, like maybe play as a starfighter instead, if you decided to no longer wait. Even put a number count so players know how many are already in line waiting. This way, people can burn those battle points they have been saving up quicker so they don't feel like they went to waste and people will spend more time playing and less time waiting. 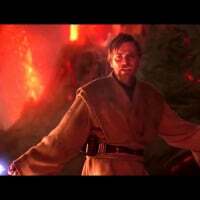 This system is very much is similar to the original Star Wars Battlefront 2 where the hero option became available if you played well and you earned the chance to be a hero you were presented with the option and if you chose "No" or didn't select in time, it went to the next best player in line but if you hit "Yes" you would immediately be respawn in as that hero. The only difference is the original didn't use battle points but used a system based on how well you were doing in the game. If you want to see an example of this in action, jump to the 5:20 mark on this video. This DIB system works perfectly, if only DICE can make it happen and to programming work for it, as it gets rid of the clutter of players not in match that are not contributing to the team because they are all sitting in queue spamming the select button. Thus there is only gain from the DIB system as it removes the cons as you are getting more players back into the action and players have a chance to play as the loadout of their choice without waiting in queue screen. The only detractors that have ever been against this only have unrealistic responses that do nothing to resolve the issue and hurt the overall experience for players like "Just don't care and wait and just play the game" or "pick something else". This doesn't help anything as those people are choosing to ignore the fact that those players don't care if they don't help the team, as long as the get the hero, so it doesn't solve the issue. With the DIB system, you are removing the entire incentive of waiting in queue. Thus solving the problem entirely and bringing back more players into the game and with more players on the map there will be more action happening and feel less empty gameplay. Sorry there was a typo, fixed it. So anyone against it that has a valid reason? Or we all in agreement? I have had times where there was a hero or something like that available, I selected it, got it in the group deployment, then was booted back to the selection screen because someone else had it first. Other times it was available after I clicked the spawn button and was unable to go back, yet other times where it was never available because I was doing well as a trooper. It's really aggravating when someone has a hero and never dies as it is, I've referred to them as "Hero Hogs". But the menu campers need to be dealt with. This idea keeps them in the match, and makes it possible for them to get the hero. This would help alleviate the hero hog problem, if combined with something that doesn't allow one player to play as a hero for the entire match. that way a player doesn't put points into a hero they want and never gets it ever because player X can't be killed, and always gets that hero really early (this is almost always the case with Palp and Bossk, sometimes Boba and Leia). That happened to you too!!!!!!! Ya i would select a hero, and I was spamming A for it and got the hero, in the queue, and right as the second hit 0, I got kicked back to the queue and someone else took the hero. it was so frustrating. Ya the DIB system would fix that. I decided 1 match to watch how many players sat in the queue almost the entire match waiting for hero near round 3 of GA. almost 4 or 5 players, per team, sat in queue waiting for a hero to become available. Out of 40 players with 20 per team, that's 1/4 to 1/5 the players sitting in queue not doing for the team. Oh and I got you for hero hogging. this is really annoying especially when they are going for milestones and they need to wait for a certain situation. In this case, waiting for enough enemies to get close and block and do a full charge push with yoda. so he sat back and never helped out because he wanted to hang on to his hero forever basically. while i ran in like how heroes are suppose to be played and had fun. Personally, after seeing how the star card that gives you more points maxed out gives you way more than you should, i think that needs to get nerfed down its what the same people that keep getting hero almost every match use so i think they need to nerf it. its suppose to give them some advantage but not a huge point advantage but it does. they use the officer and do a lot of boosting health and stuff and because of it they don't need as many kills and barely have to play the objective and they will have hero in about, record I saw, less than 2 minutes of the game start. I actually like this idea. A lot. To improve upon it, add the HvV mechanic that you will "Spawn in as a random class" if it takes too long in the selection menu. I wouldn't mind at all if I pay my investment to a hero of choice, and then a couple mins later, I'd get a "*Hero* is now available! Spawning as *Hero* in 5...4....3..."
No, I think this idea is poor, because players who earn adequate battle points to play a hero, but do so over a longer span of time in the match, will never get to play the hero because there's a queue of people who got there before them. Net result: rather than being able to play a hero being based on your own skill, your chances reduce based on the presence of others on your team with better skill. I believe we are supposed to "git gud", rather than "git more gud than our own teammates"? Agree with you. The suggestion to auto spawn players as a random class (or indeed kick them earlier from the game entirely for inactivity) is better IMO. No. This game needs a spawn timer, not a Hero reservation system. Why not a time limit on heroes like the ATAT / MTT timer? 3-5 minutes. Heroes are meant to to be a battlefield multipler to troops to aid in capping or defending objectives, not a killstreak machine ignoring the objective for one player. Time limit would force the user to play more aggressively in pushing and would cease killstreak gameplay like Leia on Crait in the base sniping players on the surface which is not helping the team at all secure launcher locations to fire at the walkers. Then you have heroes that destroy a team in a choke point, a timer gives the opposing team a chance to advance. Timers would eliminate killstreakers and carries, forcing better team play and resulting in a victory for the better team. actually everything you described would never happen. see already after just watching a few matches. on average you have about 1/5 to 1/4 each side sitting in queue waiting to play spamming All match. They even do my method of staying in queue without getting kicked so they can spend all match waiting without getting kicked for idle. So regardless, they will stay spamming all day. And what would be worse, which does happen, with everyone spamming A for some player who was way late getting a hero by that 0.0000001th of a seconding the mix of select button smashing and all those others who earned those points first didn't and that ate person only got it out of luck. That is a or concept. where people late to the game can get it over others that have waited longer and people not spawning in because they don't want to miss their chance so they, instead of helping their team, sit in queue, sometimes all match. 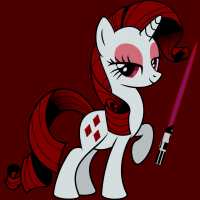 but since they made it such a challenge in itself to play as a hero this is now the expectation and so we get less players on the battlefront and contributing less for your team. If you got 2nd place you deserve to be next in line for that hero. if you were late, you get the scraps you earned. This is why we got rid of the random token spawn in battlefront 2. we wanted it to be about who earned it over another. i see it as extremely fair that if 1 person got 8000, gets a hero and then next person in line gets a hero, but it is full he does deserve the right to be next, and no 8 or 9th player player gets to jump to the front out of a luck in smashing the spawn button on the hero and just happened to get available for that split second difference. So the DIB system sounds actually more fair. you are "git gud" just the better at get gud get the priority, they earned it. why do you think you are better than that player that got all the BP he need before you? that makes no logical sense. If you get in 2nd place, you get 2nd place medal. you don't get 11th place and get 3rd place medal. see the logic in what you are saying there? It doesn't add up. So the DIB system is justified and balance and by not changing it, you are just going to have continuous players sitting in queue not playing and not contributing to the overall team progression. You should really trying out Star Wars battlefront 2 (2005) and play online and tell me how, a system design for you earned it, you turn it down, it goes the next best player, how that isn't fair. you earned it. No one should cut in line because of luck when they didn't git as gud as another player. thats why people use the method to stay in queue and not get kicked for inactivity. I do it because there is always those 2 that find a way to get hero within the first ofr 3 parts of phase 1 of naboo and are already playing palpy and other villains 2 min in so sometimes i get 3rd so i site in queue and wait and i can do it all match because i know how to get around. sometimes i intentionally spawn die, take away a point from our team to stay in queue too. so do you want that or a DIB system? One will fix a huge issue the other will be a continued line of players in queue. Na man, then i would just spawn and and die over and over. players don't care if they lose tickets for their team, long as they get to play as a hero. because heroes were made super weak, out of all the battlefields, these heroes are the weakest because it was expected that they would play the objective. if you put a timer, people will be more frustrated to spend 8000 for 5 min as a hero. so that's not doable. You argument of limiting how long you play as a hero is one that you can guarantee would lower the cap of people playing even more. Unless you are going to make the hero invulnberable from all damage, otherwise thats not doable feature. The MTT/ATAT are limited but you only pay 400 BP 8000 to play as bossk and 5 min its gone, might as well be gone from the game entirely and play something else. The DIB system makes it fair for all. So the people that were next in line get it because they earned it next. this puts boots back into the battlefront and only people that would be against this are people that are just BKs that hardly get heroes anyways other then pure luck they got enough points, joining the other 4 or 5 players in queue smashing the select button, and just lucked out and hit it at the right time when it became available. so in the end at least the DIB system makes it fair and balanced. You earned next, you get it next when it's available. I don't see a good argument against that. if you don't choose in 20secs return you as assault. it don't matter. either way players are gonna choose to kill themselves to get back to the queue if it increase their odds of being a hero. Don't say "well then DICE should implement a ban system". 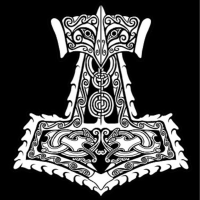 1st off this is a causal game, much less competitive nature than Battlefield games and even those don't have strict banhammers for that and even if they did decide to you would kill the population more when people get annoyed by the overbearing banhammer that if someone accidentally dies getting punished. serious it wouldn't solve anything for force players to spawn, they would just do circles around the punishment system by getting around it and have an enemy kill them and eventually it would be more work to try and stop a player than to just simply implement a DIB system. Think of the DIB system as being at an arcade place and people put their tokens in line. its fair because the next person up gets to go. what Voter_Colonel is wanting is for that 1 person to put a token in every slot which is why im against that and a DIB system would prevent that from a person who players hero forever, has enough for another hero after they die and then gets to be a hero again. That's just dumb. This is true, but it’s not a good thing. People always talking about PTFO and the “hero boys” not playing the objective or helping the team because “it’s all about them”. That’s the definition of a crap team and why the poster said there should be a time limit on the heroes. I totally LIKE the idea of a timer for heroes. However, instead of a time limit, how about capping the number of trooper kills the hero could have. Say you choose to spawn Palpatine. 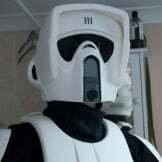 Put a cap on the number of common trooper kills he can have before losing the character. Say 30 or something. The number is arbitrary so don’t get hung up with the number. After eliminating 30 troopers, the player would return to the game as the trooper that they were before the spawn. However, the spawned hero we are discussing would be allowed to eliminate as many heroes they want (can). Perhaps you could “reset” the trooper number when the hero eliminates another hero. 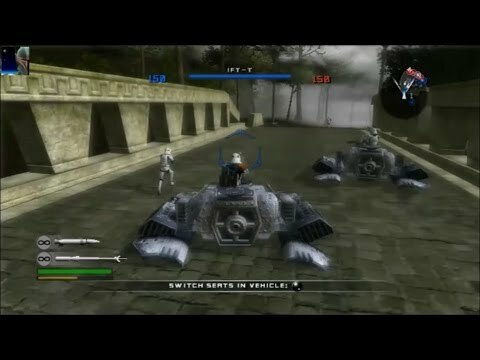 So using our example of Palpatine, said player spawns as Palpatine, immediately eliminates 25 troopers but then smashes Luke. The trooper counter would be reset and said player could continue as Palpatine until the 30 trooper count was reached or reset by another hero kill. What do you think about that idea? This is true, but it’s not a good thing. People always talking about PTFO and the “hero boys” not playing the objective or helping the team because “it’s all about them”. That’s the definition of a **** team and why the poster said there should be a time limit on the heroes. There are too many negatives to all the suggestions. a timer would be heavily disliked. In the middle of taking an objective and I'm the last survivor on offense but i'm holding it and taking it and keeping the defenders at bay and all of a sudden I get kicked out because time ran out. As for capping how many kills, that too would PO a lot of other gamers. going on a streak of kills holding the objective and then forced to de-spawn. You can guarantee rage quitting and controllers and keyboards in TV and monitor screens will be happening to a lot of players. So no, I'm totally against that. The whole reason people don't use heroes in the first place is those milestones and then its also because they are afraid losing them too quickly which is another problem. 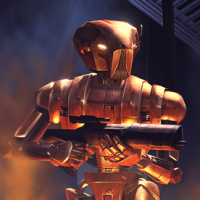 there are good heroes like palpy, bossk, rey, leia for GA objective but then there are some heroes that can't lift. They said they would make heroes weaker but to an extent where at the minimum it would take a well coordinated 4 man spawn squad to take a hero down but yet i am seeing a lot of unbalanced features where 1 basic trooper can either kill or severely deplete the heroes health all by themselves, even if the hero is a good player, just because of unbalanced features. this adds to it. I should feel like a god if I play luke or lando when taking an objective. not having to fear every person that pulls out a vanguard and starts doing rolls and i need to run away because if i stay and kill him, even if he gets 1 shot on me, I lost 60% of my health that is just unfair. Personally I say don't nerf the good heroes, buff the weak ones until they are on PAR. And and easy fix for heroes is to minimize the play area of where they can go. for example starfighters have a huge play area, troopers have a small play area, land vehicles have a slightly bigger play area, but not by much. I thought they were the same until I found areas i could go that trooper can't its out of bounds for them. Heroes on GA should be designed to be objective players so they get less points if they are not in the objective areas or protecting them or players capping. and their play area is reduced down to the objective area. I would even support reducing the cost afterwards for heroes being only 4000/6000 and you are put to 60% of the areas you can go are the objective. that would make heroes strongly made for objective focused play. At the end of the day, the one thing that whether or not someone agrees to it or not. Heroes were meant to be objective focused. they were suppose to be power house units to help boost a team in taking the objective but due to high cost and fear of dying, throwing all the BP in to die by a rolling vanguard trooper is frustrating. Milestones also play an unfortunate factor too. Instead of leia deploying the bubble over a player capping an objective, she is placing it over the largest group of team players to gain progress on a milestone to get the rewards, that's why i was always against challenges and achievements and stuff like that as some can end up being indirectly designed to be anti-team based. I think if they just put a DIB system in, more players will go back to playing by free will, not forced. and if they are rewarded more for playing an objective by getting more points while in or protecting an objective and also they play area is reduced down so they have to take objectives and not attack enemies at spawn or can sit back that would be a huge improvement. I post a thread about this a while back but this also is another factor in why people play it safe as heroes. This bug is lethal to a hero. You can also do this with troopers against a hero which definitely needs to get fixed. Something thankfully made a video on it. Hopefully in the April update for Season 2 this becomes a thing. It is definitely needed now since we will be doing more hero hugging. Already saw a huge change in more people playing as heroes not doing any risk so they could be hero all match. 1 guy got boba on yavin and never once pushed. he literally just waited for his cooldown to finish, ran in, spawn all 3 abilities to get 2 to 3 kills and then ran away to the safe space and then waited for cooldown to finish to lather, rinse, repeat. So basically my team had to entirely carry boba to victory for all phase 1, 2, 3, and 4 because he would just sit back in the spawn zone waiting for cooldown. This hero hogging is getting rather annoying, we definitely need a DIB system and also minimize the play area for heroes so heroes in GA are forced to take risk and be only allowed to stay in and around the objective area, as that is their point. A timer for how long a person can remain a hero in GA sounds like a good concept, separate or in addition to the Dibs idea. If i'm busting it to get say 12,000BP while waiting for a hero to be available and that hero doesn't die until way later im in the middle of the match i was the next person to get it if he had died now or earlier, you bet i deserve to be next i waited longer because i got there sooner. you guy wanted a system that rewarded you for your hard work and not be like Battlefront 2015 where you just luckily found a token on the ground. you, generalizing the main community said, they wanted a system that rewarded you for your hard work to get a hero. So if i was the 3rd to get a hero and players 1 and 2 got to it first then player that was 3rd should without debate should be next in line to get the option to play the next hero. i think that is legitimately fair and well balanced and i really don't see an argument against that. not crying, time limits are the worst. 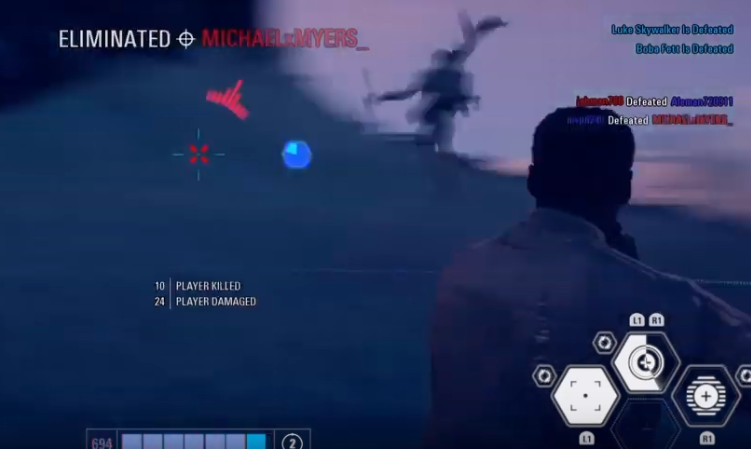 back in the old swbf games it didn't matter because there was no incentive to stay as a hero for longer. you played for fun. this game now requires you to progress with xp to get skill points. they heroes are the weakest out of any swbf game so to say that people are lasting too long as heroes is a little humorious *laughs in vanguard* seriously 3 shots kills some heroes. you can 1 man army it even. thats why unfortuantely players hide as heroes. as i stated with my other post this resolves it. But you are using a fallacy to not address the topics point being made. this is so people stop waiting in queue to get hero by knowingly you are placed in a line to get hero next since you were the next up to earn it. rather then randomly getting awarded to who ever happens to smash the A button at the right time. people criticized the last one for being a random token award in walker assault, saying it should be awarded to people with skill, and now it has been by the option of choice. but now when it comes to the next player its still on the old random system of just being at the right place at the right time. so thus causing some players to resort to staying in queue until the option becomes avaible. and i think it is just as it is not fair for someone late into the game to just get lucky to pass someone who has been there since the beginning. all the counter arguments i have heard have yet to give a valid response. saying "just don't worry about it and spawn in" is an avoidance fallacy of avoiding and an issue and that response doesn't solve the problem. saying "make a force spawn" doesn't work. 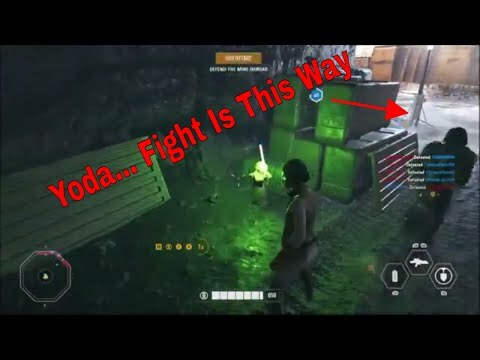 as seen in HvV i see players just get spawned in, commit suicide or give the enemy team free kills. so that doesn't work. to make a punishment system thus would be a worthless waste of time. just give a DIB/reserve/lineup system thus is the better and superior choice and all other ideas to prevent people from queue camping are thus inferior ideas as they have no effectiveness. what incentive is going to keep me in queue if my spot has been reserved? none so i'll then willingly spawn in. everyone else's ideas don't work as they choose to either ignore the issue exists, thinks people will just spawn in because you tell them to or try to make a punishment system that only will encourage players to use *****-baggery methods to stay in queue or get back to queue quicker. so then so far the DIB system is the best resolution heard here so far. *finishes reading a novel* Huh. I don't know if I wasn't clear enough... But I wasn't disagreeing. I agree with a dibsystem being implemented; for better or worse. Looks good. I like this idea. oh no the top one was directed to someone else. Anything after the quote that i write is who i'm addressing. anything before was just a saved paragraph i forgot to enter in earlier to who i was addressing. I like this idea. I'm not too keen on heroes since they're easily the most expensive units, but I do like the armored vehicles and speeders. A dib system would really help with being able to use those. I definitely feel like the game should reserve a spot in the order of players who gained the amount of points necessary to be a hero. So that as soon as you hit 6,000 it offers, you can say yes or no. Or 8,000 as the case may be. Even if you're in the middle of a life. However, I know a lot of people were bugged when a player would get a token and then suddenly disappear. I guess you'd still sacrifice your life to get one. i think this system would help out a lot for all them since there is a limited number and no one wants to wait in queue to use. 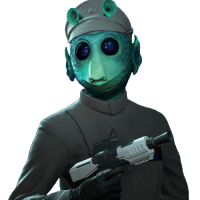 i want to get back to playing, get that notification "hey you can now play as Bossk" and i just hit yes and get to spawn in as him or for any other classes i do it for. its a huge time saver and i get to spend more of my time playing and less time waiting. 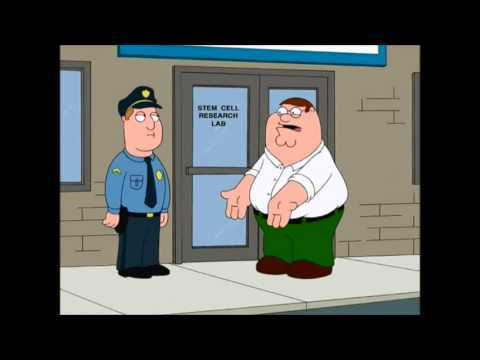 I kinda lost you on that, what you mean by a token? Do you mean like when people selected a hero but the second they are about to spawn into the game they get kicked out of queue and lose the option to be a hero? If so, then ya i hate that. It's happened to me before.